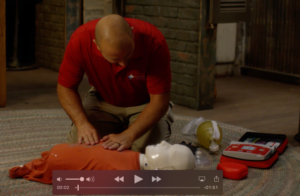 ‘Virtual Medic Videos in ASL’ app is the first of its kind! It is the FIRST first-aid app that shows the user, step-by-step, how to treat common types of disaster-related injuries! Are you Deaf/Hard of Hearing? You gotta get this app! Are you hearing or deaf and don’t know sign? You need this app! The ‘Virtual Medic Videos in ASL’ app will be available in the Apple and Android stores October 2016!! !